The governor declines to talk about a medical problem that resulted in him being taken from New Brunswick to Presque Isle to Eastern Maine Medical Center in Bangor. AUGUSTA — Gov. Paul Le- Page’s recent health troubles alarmed doctors enough that they summoned a LifeFlight helicopter to transport him to a Bangor hospital last month. LePage confirmed to the Associated Press on Wednesday that he was transported via LifeFlight, calling it a “nice” ride. But he declined to provide further details and said his medical treatment doesn’t affect his ability to serve as governor. The Republican governor, who’s doing fine now, has declined to share details about medical treatment he received after he suffered “discomfort” on Aug. 25 while visiting family in New Brunswick. 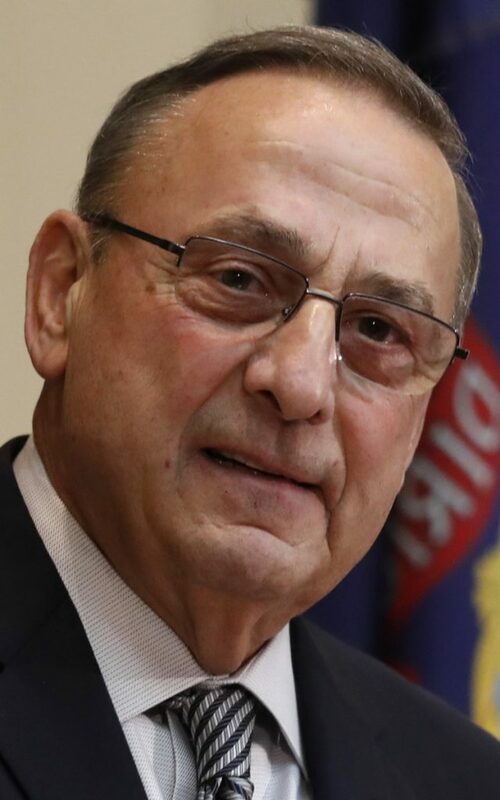 LePage’s office has said he was taken by ambulance from a hospital in New Brunswick to Presque Isle in northern Maine. He was then brought to Eastern Maine Medical Center in Bangor, where he arrived late that Saturday. The website Flightaware indicates LifeFlight, based at the Bangor hospital, was dispatched Aug. 25 to Presque Isle. The website indicates the helicopter left Bangor at 8:35 p.m. and diverted to Houlton, where a local official said it received fuel. It returned to Bangor at 10:45 p.m. Norm Dinerman, the medical director of LifeFlight of Maine, said the nonprofit has three helicopters and a fixed-wing aircraft stationed in Bangor, Lewiston and Sanford that are used to transport critically ill and injured individuals from hospital to hospital, as well as from the scene. He said the group had 1,929 transports last year. LePage’s chief of staff, Holly Lusk, told Republican Senate President Michael Thibodeau’s office on Aug. 25 that the governor was hospitalized, according to Thibodeau spokesman Jim Cyr. Thibodeau would serve as acting governor if LePage were incapacitated. Doctors decided to keep Le- Page overnight and released him Aug. 27. LePage took a few days off from work to rest but has been back at work for about two weeks. The Portland Press Herald reported that the 69-year-old governor was in the Bangor hospital’s cardiac unit, but the governor’s office has declined commenting on that report. LePage, on doctor’s orders, did not attend a recent nine-day trade mission to the United Kingdom and Ireland.